If you have been working under waterfall methodology then switching to scrum agile could be a tedious task. Scrum itself is not very complicated but it would become complicated when you sit down with your team to make that switch. Most of your team members, who have always worked using waterfall methodology, are quite comfortable with old practices and routine & changing that may sound scary to them. Bringing everyone together and implementing scrum for the first time, is one of biggest bottleneck in this transition. There are lots of apprehensions around it and this is what makes sprint planning a very complicated process. Let’s first go through some of the challenges for implementing scrum first time so that we can easily identify the pain areas and how to fix them. Convincing senior management to transform to a new methodology. Funding challenges for new estimates. Convincing team members to work under new strategy. Getting dedicated team members to implement scrum. Reducing conventional project management and convincing project managers to transform into scrum master role. Out of above mentioned points, point # 2 and 5 are one of most crucial points. If you can convince project managers then convincing other team members is half done and only requires little efforts. But convincing project manager and on the top of that, convincing PM to behave like scrum master is one of the biggest deal. Similarly, convincing senior management to approve estimates under Scrum Agile methodology could also prove to be a difficult task. Sometime first few projects under new approach require more efforts which will shoot up the estimates. Therefore convincing senior management to approve a new approach where cost is more, could look like a uphill task. But quality is the biggest criteria and overall cost of projects under scrum, will remain toward positive side if bug fixing and change control/requests are considered. Therefore while trying to convince them, efforts should be made to highlight the benefits of scrum agile over waterfall methods. Once you are done with the initial convincing part, you will have to put lot of focus and efforts on how to plan sprint because that will demonstrate your delivery capability. 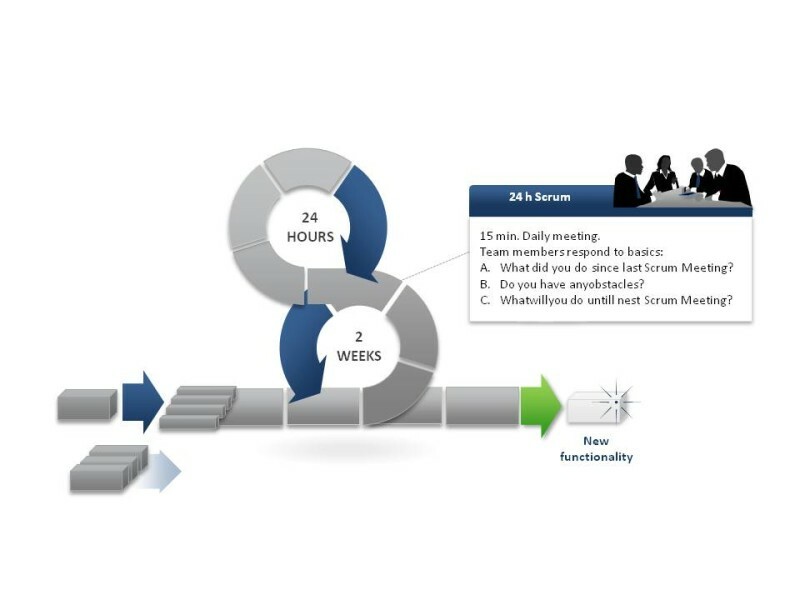 How To Plan Sprints in Scrum Agile? Can this functionality be developed, tested and delivered in isolation than other requirements/functionality? If answer is “Yes”, I am going to target that functionality. Usually this result in set of requirements which will produce an output that will result in functionality. It could be a algorithm or UI change which is independent of other functionality. Now theoretically, it could be different but you have to decide based on your projects and the kind of work you do. Scrum is all about team work and collaboration and distributing work in such a way that it could be developed and delivered without impacting other stuff. I have followed these set of rules, what yours? Discuss and share your opinion about planning sprints or development under Scrum Agile or any other software development methodology.